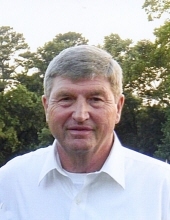 Mr. Max Allen Vann, 71, of Erwin, died Monday October 22, 2018 at Rex Hospital in Raleigh. Mr. Vann was born April 10, 1947 in Harnett County to the late Ennis Lee and Gladys Beasley Vann. Mr. Vann was predeceased by one brother, Wayne Vann, and two half brothers, J.R. and Joseph Vann. Mr. Vann was a 1965 graduate of Erwin High School. He earned an Associate’s Degree from FTCC in heating and refrigeration. Mr. Vann retired from Swift Textiles after 35 years of service and worked another 6 years for Saab. Mr. Vann was a member of the Erwin Goodfellas and attended First Baptist Church of Erwin. Mr. Vann loved yard sales, hunting, working in his yard and garden, sports, especially football, and just enjoyed helping others. His biggest love however, was his family, especially his grandchildren. Funeral services will be held at 11 a.m., October 25, 2018 at First Baptist Church of Erwin with Rev. Thomas Greene officiating. Burial will follow in Erwin Memorial Park. Mr. Vann is survived by his wife of 51 years, Cindy Vann; sons, Michael Vann & fiancé Christy Reason of Stantonsburg, Jonathan Vann & wife Billie of Erwin; daughter, Angela Tyndall & husband Tony of Erwin; brother, Jackie Vann & wife Sue of Benson; sister Jane Ziamanesh & husband Ali of Va.; grandchildren, Tyler Tyndall, Lynwood Mims, Anna Marie Tyndall, Gracie Vann, Troy Vann, Caroline Vann, Nathan Vann, and Lynsey Reason. Visitation will be Wednesday, October 24, 2018, from 6 to 8 p.m. at Skinner & Smith Funeral Home in Dunn.Flowers are welcome; however memorials may be made to First Baptist Church of Erwin, 300 S. 12th Street, Erwin, NC 28339; and the American Heart Association, 4217 Park Place Court, Glen Allen, VA 23060-9979. To send flowers or a remembrance gift to the family of Max Allen Vann, please visit our Tribute Store. "Email Address" would like to share the life celebration of Max Allen Vann. Click on the "link" to go to share a favorite memory or leave a condolence message for the family.